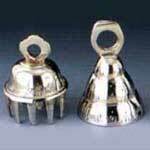 We are entitled as prominent Loose Brass Bells manufacturer and exporter from India. We offer world-class solid brass bell, antique brass bell and many more. They are imbedded with finest raw material that makes them highly durable. We present you extensive range of solid brass bell; giving you plentiful options to choose. 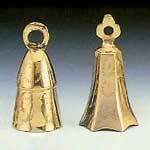 Our brass bells are available in all modern designs and configurations. You will be pleased to know that entire range of brass bell is availed at the most affordable prices fitting in your budget.